When you hear of Milwaukee, WI, baseball and a cold beer might come to mind, and maybe snow. But what you’ll find when the tech community steps up to the plate are more home runs happening each month. In this #StartupsEverywhere, interview, we talked with Joe Poeschl, Program Director and Cofounder, The Commons about community engagement, the latest startups and expandable growth. What’s your role in the greater Milwaukee area startup ecosystem? I’ve been working in the startup space for about seven years now. After graduating with a degree in advertising and design, I started a web development consultancy, where I oversaw user experience, brand design, and business strategy for internet-based startups across the country. From there, I went on to co-found Startup Milwaukee, which built up the area’s entrepreneurial ecosystem through a variety of events and access to local resources. My role became more clear as I fully embraced my natural energy and ability to get others excited about trying something new. Now, as program director and cofounder of The Commons, I share that passion and enthusiasm with students and engage with local leaders to create more opportunities in the space between academia and industry. Can you tell us more about what The Commons does? Three years ago, we formed The Commons in collaboration with all 24 colleges and universities in Southeast Wisconsin, several dozen local corporations, and the entrepreneurial community. We bring together motivated students from any discipline and help them understand how to think like entrepreneurs. We run a variety of programs, but our flagship is the “Entrepreneurial Skills Accelerator” we run every fall and spring semester. During the nine week experience, we select 75 students from across the region, put them together on teams and have them build new companies or a new product for an existing company. We then weave in over 300 local professionals to mentor students and build professional networks. This results in more students getting excited about working for startups and innovative companies, more risk tolerance for pursuing new ideas, and a stronger sense of connectivity across the innovation ecosystem in the area. It’s all about fostering a mindset shift, changing perceptions, and retaining great talent. What’s the most exciting thing that has happened for The Commons in the past year? This has put us into a position to explore programmatic growth in two very exciting ways. First, in extending down into our local high schools to offer younger students the opportunity to explore new skills and gain exposure to new college and career pathways. The second opportunity lies in geographic growth and helping new communities launch The Commons in their area. We’ve spent a lot of time this summer developing a clear understanding of how we can work with a community to co-create a strong program. This will result in a connected and transparent network of innovative talent and companies across Wisconsin, with the right people being offered the right opportunities at the right time. What is the biggest challenge you face in Milwaukee? As a region, we’re up against our own culture and heritage. We’re always ready to roll up our sleeves and get job done, but there is a real sense of practicality, humility and risk-aversion that has developed here; we’d rather sweep a failure under the rug than wear it like a badge of pride. However, we’re now trying to use this to our advantage. I think that The Commons is getting support from so many because it is the practical answer to our very real problems. A collaboration of this magnitude is the only way we will compete in the future economic environment and it may very well be the safest bet we can make, as we’ve assumed responsibility for keeping everyone actively engaged and distributed support across a large number of stakeholders. We’ve now taken one of our biggest perceived threats and turned it into the springboard for everything that’s very unique about The Commons and this new model for transparent, collaborative economic development. Are there some startups to watch coming out of the greater Milwaukee area? Absolutely! Bright Cellars, Scanalytics, Lumanu, ZoomShift, Rent College Pads, Wantable and many more are doing awesome work. 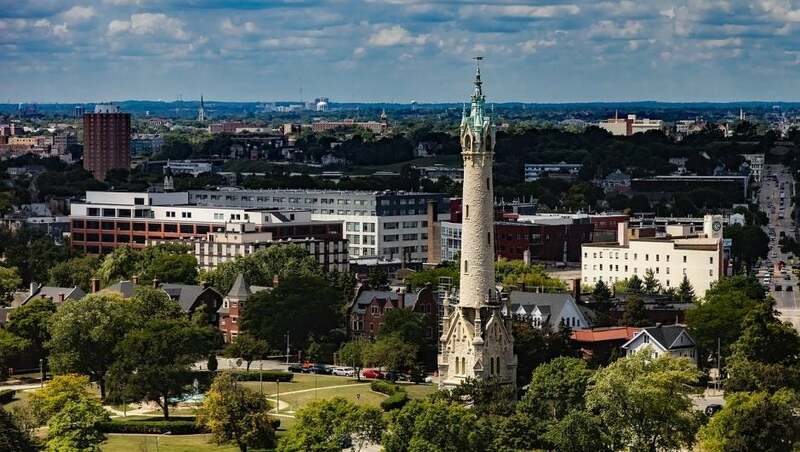 The Milwaukee area is also seeing significant startup growth around sectors like water tech, biohealth, next generation manufacturing, food/beverage and automation. All of this rolls up into a region with a vibrant economy and opportunities for talent to do impactful work. Monica joined the Engine team as the Program Manager for Government Affairs in October 2016. In her role, Monica leads outreach to policymakers in Washington DC and helps to engage and build Engine’s network of startups around the country. Before coming to Engine, Monica was a policy analyst at the Alliance for Health Reform, a health policy non-profit started by Senator Rockefeller (D-WV), and a fundraiser at the Democratic Senatorial Campaign Committee (DSCC). As an strong advocate for women in leadership, Monica has been a member of the Women’s Congressional Staff Association (WCSA), Women’s Information Network (WIN), and an at-large board member of the Startup Champions Network. Monica is originally from southern California and graduated from UC Berkeley with undergraduate degrees in political science and public policy.